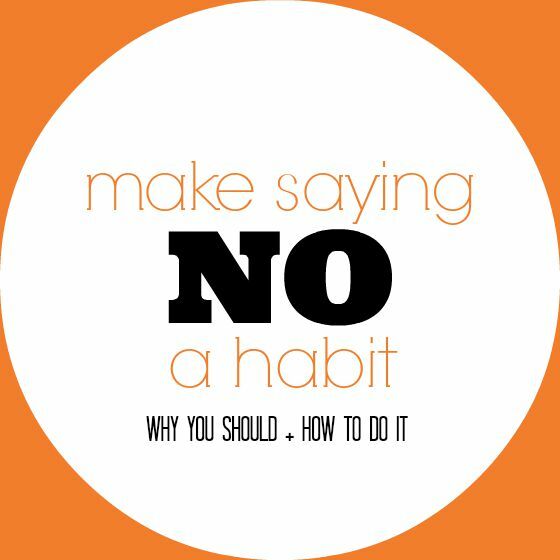 Make saying “no” a habit?!?! What? That doesn’t sound right. It’s true normally I would be encouraging you to get rid of the NO! But stick with me for a minute because this time NO is one of the most important things you can say. I recently sent out an email (are you on the list?) 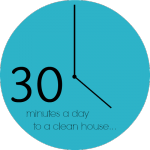 asking how parents are finding time to take care of themselves. Are you surprised that I had a huge response of “I’M NOT”!? I wasn’t. We are busy, we are all busy. And we are allowing everyone and everything else to come first. Over the next couple of months, I’m going to be talking a lot about taking care of you and that starts with learning to say “NO”! Three Very Important Reasons to Say NO! When you say NO to something you are allowing for a YES to something else. NO, I will not bake cookies for the party (store-bought will work) means YES I can read two extra chapters in the book I can’t put down. Saying NO to things that aren’t actually important clears space for saying YES to things that really matter. Saying NO allows for unexpected moments. A “NO” just because you don’t really want to say “YES” means there is space for the unexpected. How often have you wished you could make a spontaneous trip to the park but can’t because of an overwhelming to-do list? Think about why. What is the reason you want to say “yes”? Do you want to say “yes” because you really want to say “yes”… or is it something else? Will you say “yes” because you feel like you should or you don’t want to hurt someone’s feelings? Are those really good enough reasons to fill that space with something you don’t want to do? Don’t say “yes”! If you know you don’t want to do something, just say “no”. If you say “yes” intending to cancel later, you’re setting yourself up to feel guilty. Or worse you might get stuck doing something you don’t want to do because you forgot to cancel! I’ll have to get back to you. Have a standard response no matter who asks or when. “I need to check my calendar, I’ll text you when I’m at home.” OR “I want to run that by hubby, I’ll let you know tomorrow.” If you are in the habit of always checking before saying “yes”, you’ll have the time to think about whether you really want to say “yes” or not. Think about what the “yes” really means. Remember how I said saying “yes” to something always means you are saying “no” to something else? Sometimes the best way to find the “NO” is to think about what you would be giving up by saying “yes”. Practice, practice, practice. 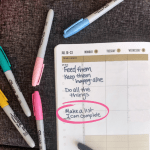 I can almost guarantee that you will end up failing miserably at this when you first set out to intentionally pick what fills your day. That’s okay, just like anything else this takes practice. When you find yourself in the midst of something you wish you would have said no to, try to think of what you would say or do next time to avoid it. What are you ready to say NO to? Share in the comments. This is an INCREDIBLY helpful post, Jill! I love how you broke it down so we can better evaluate the importance of saying no. I especially loved this important point: ‘Saying “no” to something always means you are saying “yes” to something else.’ I do think it is easy to fall into the people-pleasing trap and not think about what that outside YES is costing you. You provided some really great ways to make saying NO into a habit — or at least helping us be more intentional with our yeses! I am truly honored to be mentioned in this post! It has definitely taken practice, but I am confident with my “no” response and investing time, energy, and effort into what matters most to me. I hope others take your suggestions and open the space for more self-care and family time. Thank you for visiting and reading Rachel. Your book is inspiring and full of great actionable tips. I’m sure it will change the lives of many! Wow. This is mind-blowing. I haven’t really thought of how many times I said “yes” only because I don’t know how to say “no”. I always end up saying yes to anything even if I can’t fully-commit especially because I find it hard to disagree. Being a mom had made me a “pleaser”. There are just too many things to do and I know I’ll be needing a lot of help in the future so I always agree to helping out. How can I say no to someone who can potentially help me in the future? This post made realize that saying yes out of convenience hadn’t done me any good so far. I just drowned from heaps of tasks I cannot fully commit to. We just have to find time for ourselves and stop pleasing people.